If you're like us, when you think 4x4, you think beer, mud, friends and exotic sports cars with impossible-to-afford sticker prices and impossible-to-pronounce names. 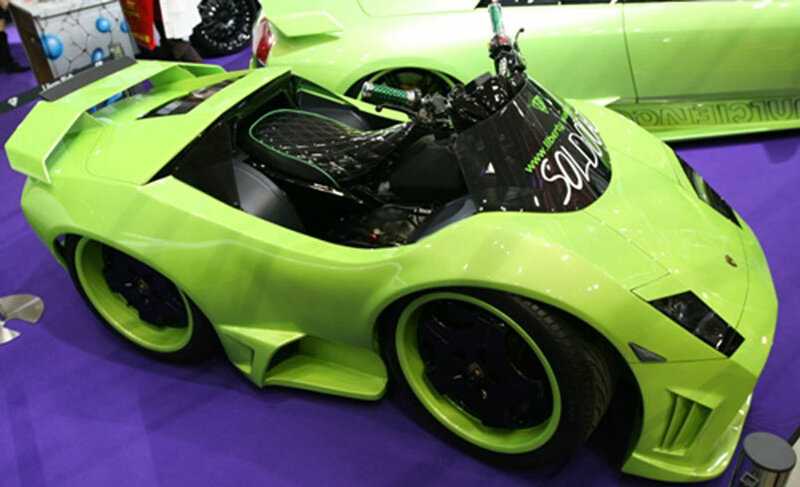 Spotted at Tokyo Auto Salon 2009, this mini Lamborghini Murcielago is really a 4x4 ATV. We're guessing that a Lambo might not make for the best off-roading vehicle—there's not much clearance between the tires and the body for proper suspension—but then again, if we were to spend the $US20,000 on this ATV, it wouldn't even be leaving my garage (partially because of the price and partially because of how stupid we'd look driving it).